Bob.Omb’s Modified Win10PEx64 is one of the best rescue disks of 2018 built on WinPE 10. 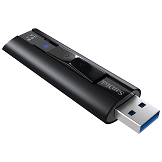 It supports both UEFI and Legacy BIOS, which you can use for both USB and DVD. I have introduced this rescue disk in Gandalf’s Windows 10PE article, in this article I will introduce a new integrated way. Both versions are built from the Win10PE SE project, personally I like Bob.Omb’s Modified Win10PEx64. However, this version of WinPE has a fairly large boot.wim file size (about 800MB), which makes booting quite slow. If you just want to do some simple work, try the WinPE 10 version of AIO Boot, it’s lighter. Bob.Omb’s Modified Win10PEx64 includes many software to help you rescue the computer easier, Internet Explorer 11 is also included. 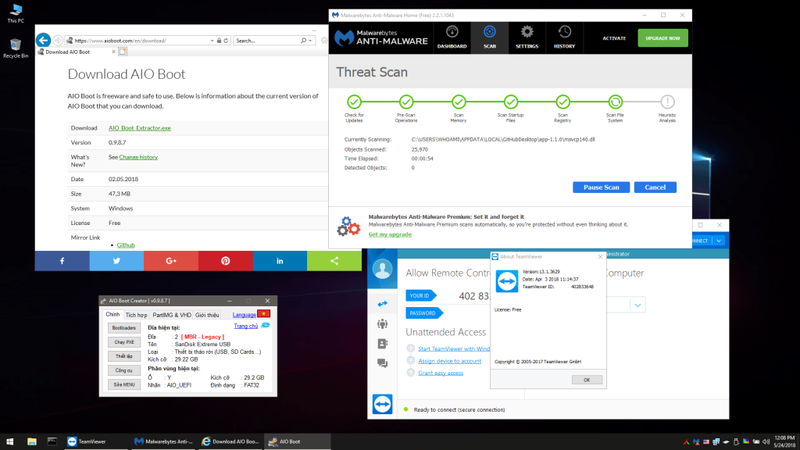 Malwarebytes Anti-Malware is a well-known antivirus program that can help you scan and remove threats on your computer. But its virus database is not the latest, currently the 2016 version. The updated version will be lost after restarting the computer. Hope the future versions will support this. Its official homepage is no longer maintained, but the author has sent me the latest version. The latest version is v4.6, you can download it at Google Drive. Open the ZIP file to get the ISO file and instructions. You can integrate the Bob.Omb’s Modified Win10PEx64 ISO file as instructed in Gandalf’s Windows 10PE article, which allows for integration of multiple versions. Here I will integrate by extracting the files, because the structure of the folders and files are identical so we can only integrate one version. The method will support some software that does not support running on ISO. Download and install AIO Boot. Open the ISO file, copy the following folders and files to the AIO Boot drive. Do not copy the EFI folder, it will override Grub2. Maybe the antivirus program blocks suspicious files, you need to disable it if you want to copy. Run AIOCreator.exe, switch to Integration. Select Windows and then select WinPE 7/8.1/10. Browse to sources\boot.wim in ISO and click OK to integrate. Now just restart the computer for testing, hope you enjoy this version. Good luck! Is there a link with the changes or a change log for version 4.8? Change Name & website or you can delete both but be sure default registry be the same. Voila you are Done . Ok. I tried using the integrate on several things that it didnt seem to work with.. First I did the Bobs version and it does work, however when it boots up most of the software that it shows is missing. The odd part is I created a USB drive using the Bobs Winpe and it worked and it has all the software listed above..
What i am trying to do is make it so that I can boot over my network and have all the diagnostic tools I need without having to map a drive or something to access my tools.. Do you have any ideas on this? Also I tried using special packs and I tried integrating Hirens Boot CD, and it acted like it worked but when I boot up and go to special packs there is nothing there? Can you please help me with this? Either of these will be fine with me I just need one of these ways to work.. I also had an ISO of the gandalfs winpe but when AIO boots up and I select Window and setup, then select the gandalf winpe, it gives me an error and wont boot all the way up.. I forget the error, I will try to boot to it again and let you know what the error says exactly but either of the other two ways would work for me if I can get them to work.. Any ideas or help would be greatly appreciated..
Oh, just so you know I also checked under every other option in the menu to find the Hirens after I integrated it and it doesnt show up on any of the menu listings? I really love your work and I appreciate the PXE server you made here. However this version takes like 5 minutes to boot to it over the network. Is there anyway to streamline that a bit? Also is there a way to add or remove apps? I am willing to pay for a version that works the way I need it to work. I mainly only use maybe 5 apps and as I said I would be willing to pay for a version with the apps I need included and the ones I dont need removed so it will boot a bit faster. I need victoria, hdd regen, fabs autobackup, aomei backerupper, and an antivirus software. Im not really particular on which antivirus software. Anyway if you would be willing to build this for me or just tell me how to do it then I am willing to pay for this. Oh, also is there a way to include a windows 7 image so I can install it over my network? 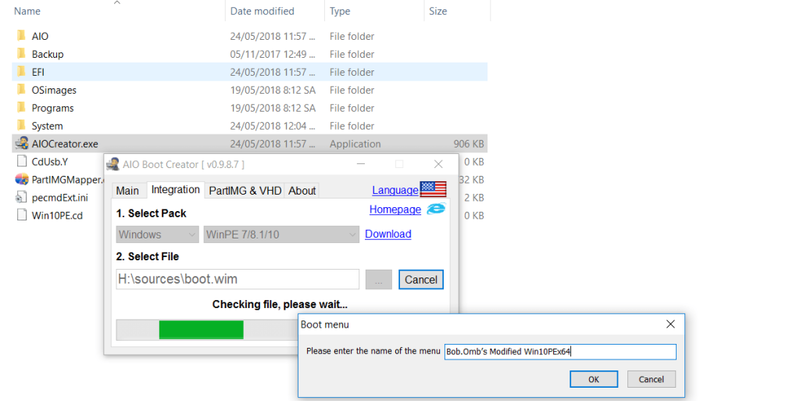 I am able to install windows 10 over my network using the aioboot pxe server but for some reason I have tried multiple images of windows 7 and I either get an error about drivers missing or I get an error saying it cant find the shared network drive even when I point it directly to it, it will say it doesnt exist but I know it does because it works fine installing windows 10. Anyway if you would either tell me how to add and remove apps, or just add apps I need and remove ones I dont I am willing to pay for this as long as it works the way I need it to work..
Bob – any chance you can fix validation emails on your new forum. You never get forget passwords or activation emails (have tried gmail/yahoo/etc). Added PXE Server option to broadcast the PE across your network. Clients must be in legacy mode to boot PXE. Thank You Dear friend . i hope you could remember Anonops-India on Nsanedown …. latest version of bob omb pe se is 4.4 but not updated here . Hi, this version has at least 4 trojans and other viruses. I had to boot from this”best rescue disk” to clean “the best rescue disk”. And i’m not even sure should i trust the result. Also if antivirus removes them, will the boot cd still work? Or will just the software which needed the patches be disabled? Brother plz update the latest link to your pe se . Windows defender found multiple threats in this software, including a Trojan in the google drive download!?!? I use bob.omb quite frequent, and there may be a readme file somewhere about this, but is there any way to install any apps to bob.omb? I can mount the WIM file to copy files & folders, but as far as installing apps, I haven’t found a way. Bob.Omb, its author here, I hope we will be informed about the updates here. Hi Bob, just wondering if you are considering adding DOS for firmware updates.? DOS is included, just open command prompt. If you mean 16bit application support that is not possible in x64bit Windows without heavy modifications. Would you consider modifying the BCD with an option for freedos? Is this even possible? If so, I might just attempt it. Does anyone else occasionally use freedos? I downloaded this software 29th Oct 2018 from the google drive download, windows defender found multiple threats in it including a Trojan!? no offense if it’s actually safe, but how can anyone trust the software!? Did I download from a phishing site or something? Awesome work and I hope you are still bringing your ideas to life! There are no, and have never been any, trojans or malicious software of any kind in my ISO. And no ads were ever on my website. Calm down M. Akerfeldt, we are all now acutely aware that you don’t understand many things…. Dear Bob why your Subdomain on theworkpc.com is down . is there something wrong . if needed you can use our domain as sub host . reply me if i can do something for a friend. Hi Bob, excellent work getting your boot cd rated as no.1 on slant, spent a while figuring out how to burn it to a usb, and once I unzipped the iso windows defender went crazy listing 7 threats and 1 was a Trojan, I panicked and wiped the partition…since then I’ve read these posts and some antivirus reaction is apparently normal, but can you please list exactly what threats an antivirus is expected to find so we know what are acceptable ‘threats’ and which once’s aren’t, it would be easy for a hacker to install genuine malware in your iso and use a phishing site to distribute it, knowing that one or two sites like this are saying ‘it’s fine just run it anyway’, a zip file via google drive doesn’t seem like a very trustworthy source, as awesome as your collection of software seems, would you suggest your less IT knowledgeable family members downloaded a free software from unverifiable site, and when their antivirus software said it contained malware they just ran it anyway because the person who distributes it said it’s safe? is that responsible operating procedure? Ok. A Patch for what? What file? Why is it there? It’s just a patch file. Google Drive looks better, faster. In addition, you can upload new versions without changing the download link. I will remove the link here if it is no longer valid. Hi Tu, would you please post google drive links for this BOB.OMB’S MODIFIED WIN10PEX64? I have uploaded the file to Google Drive, please read the article again for a link. Tried Latest Bob Omb win pe 3.2 with aioboot 0.9.8.9 . If boot in UEFI it stucks at 34% directly . UEFI mode not working kindly correect. problem still the same . Kindly Correct. Does this only happen with this version or all versions? Windows Setup, Sergei Strelec, Hiren’s BootCD PE…? none of your Aioboot Multiboot worked fine with bob omb customised win10 PE SE project in UEFI Mode but Legacy mode is working fine . if we use Rufus for single booting of BOB Omb’s win 10 PE Se it worked fine in both UEFI as well as Legacy mode. In Settings, choose Windows Boot Manager as the default boot loader. I suspect the cause came from Grub2. I have updated the new version, please try it. ok dear friend . i will try tmrw & will let you know if problem still persists . i appreciate your work & its an awesome multiboot tool. not working . problem still the same . UEFI mode stuck at 34% directly upon boot. Legacy mode works fine. Anyways theres no any need to use Bob Omb cuz i have build my own custom WinPESE 10 latest build 1803 will more tools then bob omb & my build is working fine with both mode UEFI as well as Legacy with your Aio Boot Tool. Means theres no any problem with your tool its the problem of bob omb boot wim with custom tools as he already told us that at time of media creation it is giving him some error. Disabled the antivirus Eset NOD 32 and same problem here. Error message displayed at the end of integration. I use the last version of AIO Boot. Just copy the folders and files as in the post. Then integrate boot.wim. There’s no System folder like you wrote on the instruction. Can you please update the guide? Integrating as WinPE always give me error. I’m using Bob.Omb’s v3.1 and AIO Boot v0.9.8.8 by the way. Ask him to try using Rufus and the tools you’ve included in the download. Does this issue only occur with your WinPE version or all? Update released. Improvements have been made to the build. Thanks for all your efforts. Installing AIOBoot ? Where ? to My Hard Drive or to My Flash Drive? You can use both USB and HDD. If you use HDD, AIO Boot will replace the current boot loader of the operating system that you are installing on. So, should use a USB first, then if you like AIO Boot, you can use it for HDD.